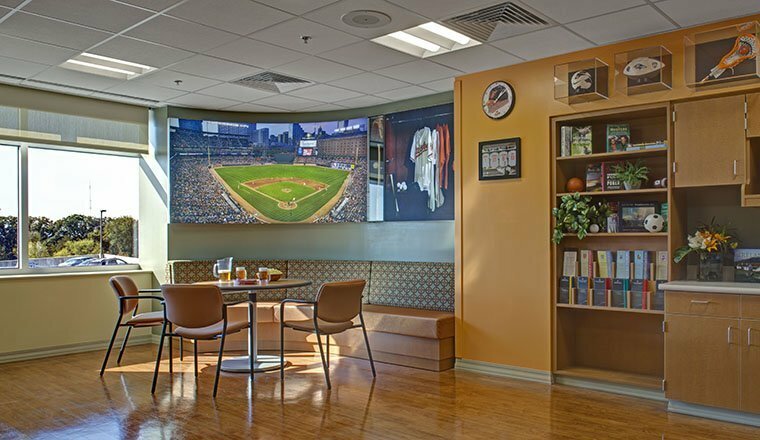 Located less than a mile from the Pimlico Race Course, which hosts the famous annual Preakness Stakes, Sinai Hospital of Lifebridge Health is one of the Baltimore-metro area’s largest hospitals. 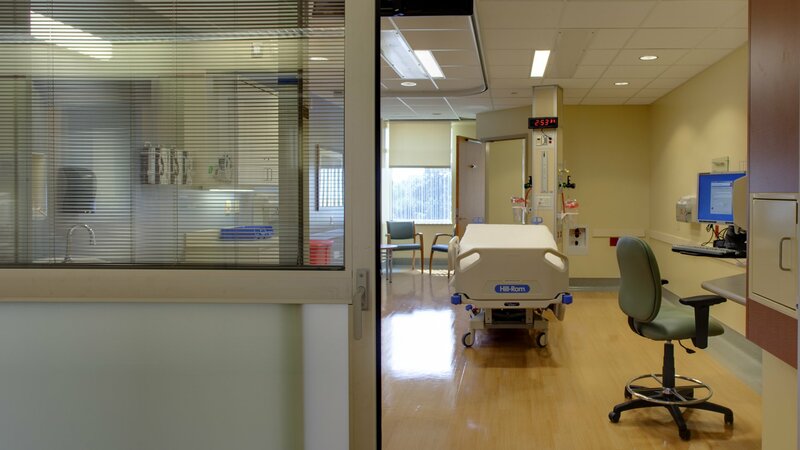 The annual number of patients admitted steadily grew since the start of the new millennium; nearly 22,000 adults visited the hospital during the 2015 fiscal year. 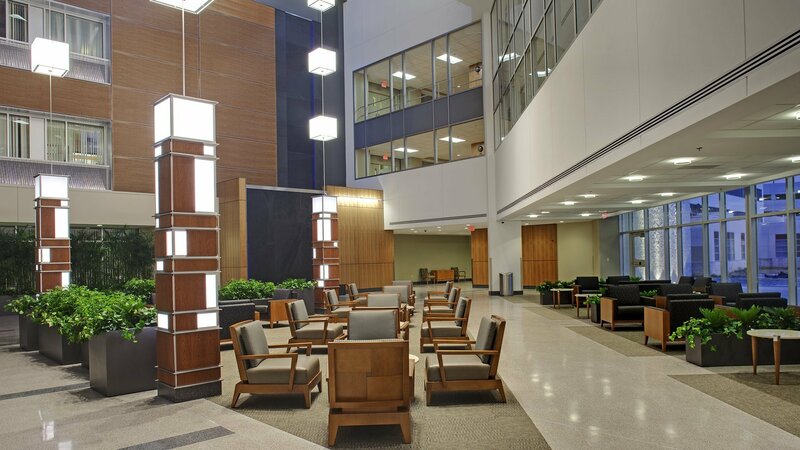 Sinai Hospital has worked with Hord Coplan Macht for over 20 years to plan and design improvements to their urban campus. 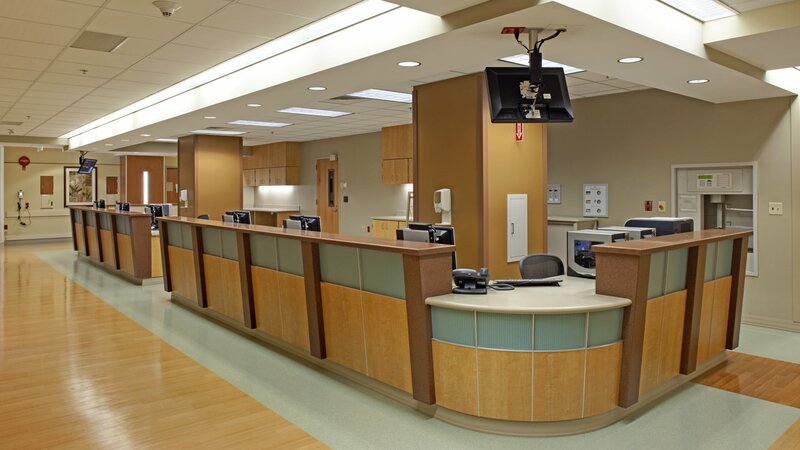 This multiphase project included the design of a new in-patient facility to meet the demand of projected patient growth. 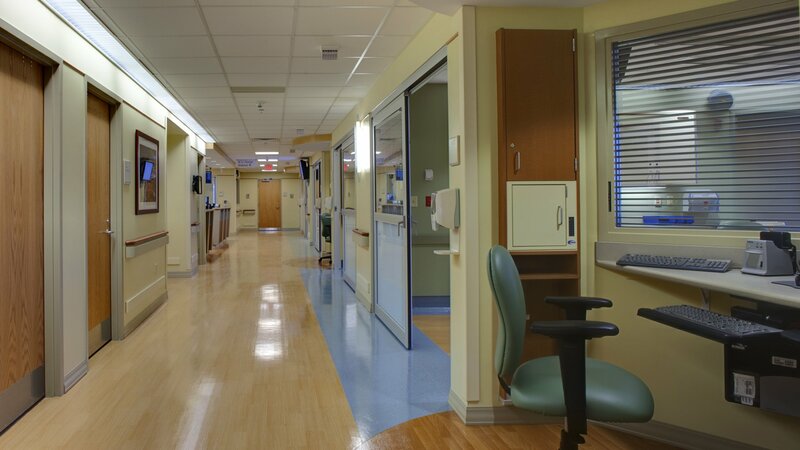 A strategic plan to accommodate growth within the surgery department required Sinai Hospital and Hord Coplan Macht to develop a strategy to improve inpatient care while managing overall flow of patient and public traffic through the hospital. 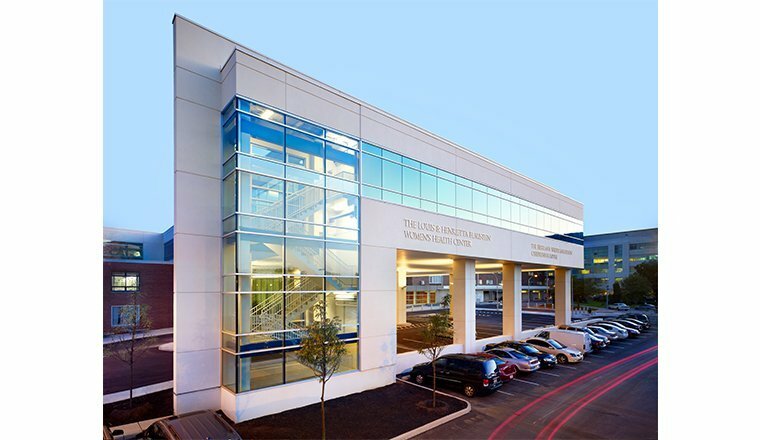 Lee Coplan, AIA and Scott Robison, AIA acted as the Principals-in-Charge on the project and managed the team of architects, designers and engineers that worked on the expansion. 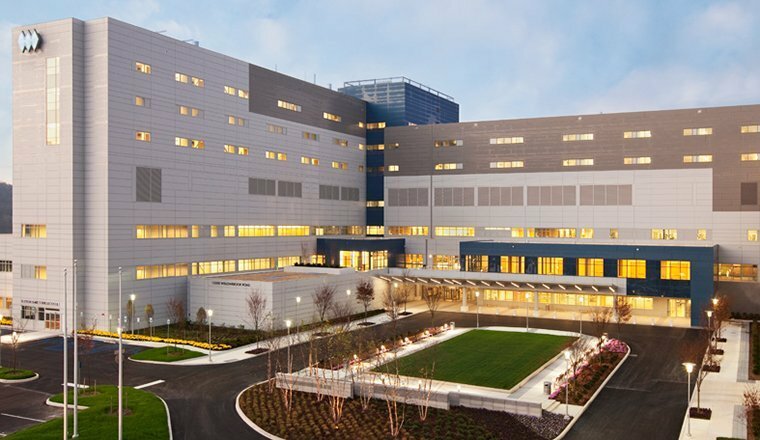 The six-story, 114,616 sf South Tower connects to the General Hospital and accommodates 101 beds comprising four inpatient units, a mechanical penthouse and a helipad built above the existing emergency department, also designed by Hord Coplan Macht. 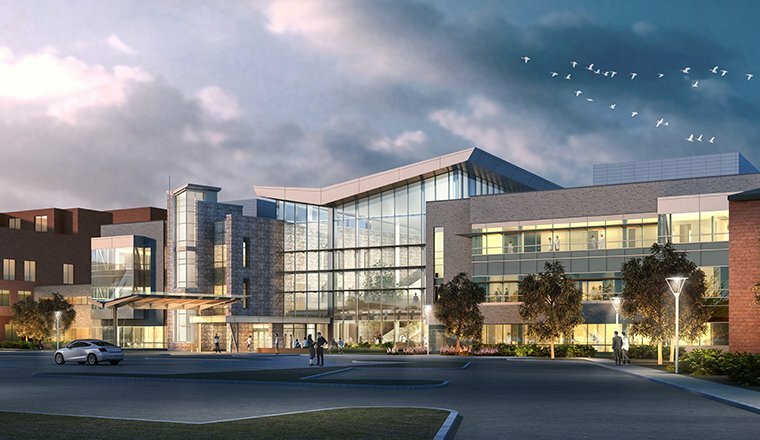 It was the first step in a complex, multiphase effort to expand and improve the services of Sinai Hospital to the community. 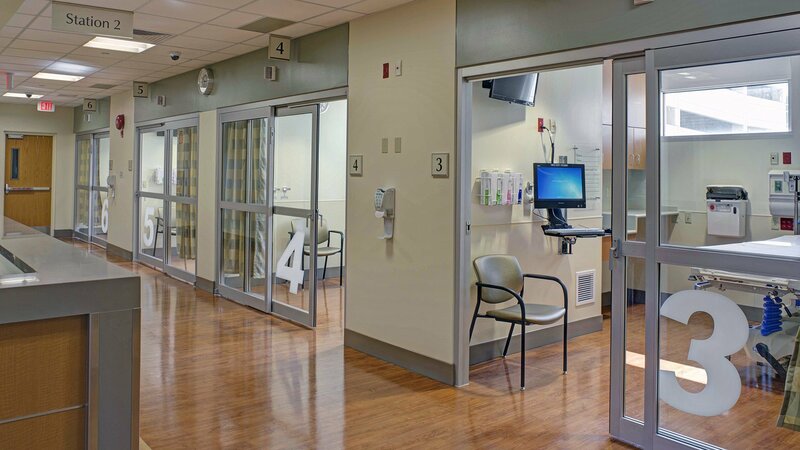 Each floor was designed for a specific purpose and function. 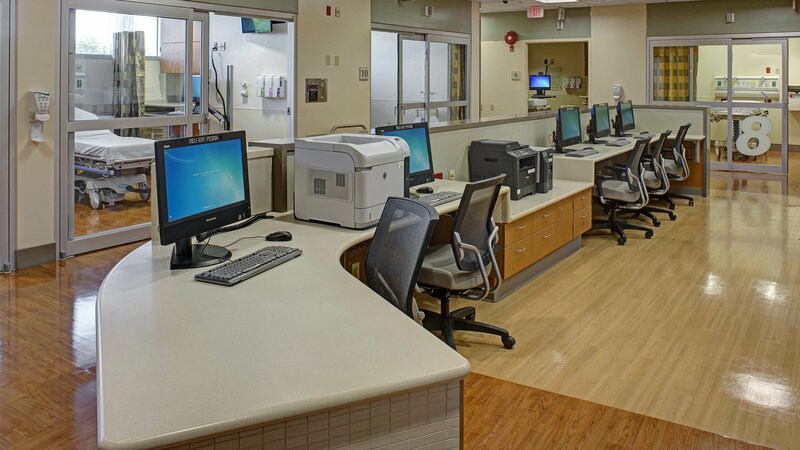 Cardiology Intervention (Floor 2) – five new catheterization labs and shell space for a 6th. 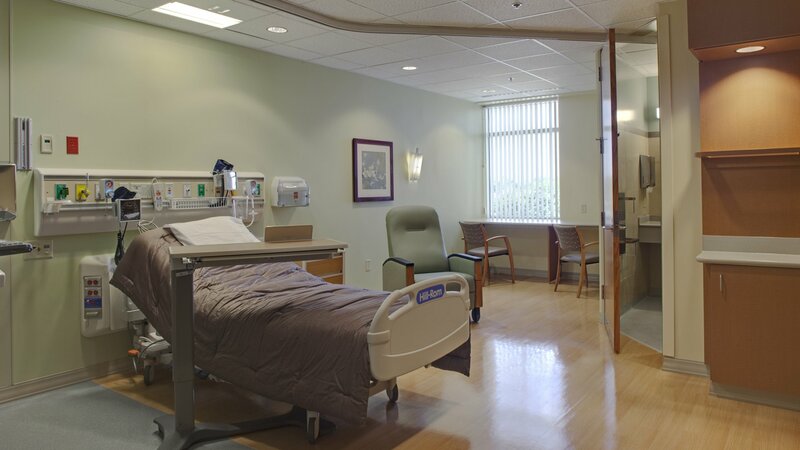 All of the private-inpatient rooms (floors 3, 4 & 6) designed around a decentralized nursing concept, with nursing alcoves outside each patient room for faster and more efficient responses. The new building boasts the area’s first hospital roof garden, which can be viewed from the 5th and 6th floors. 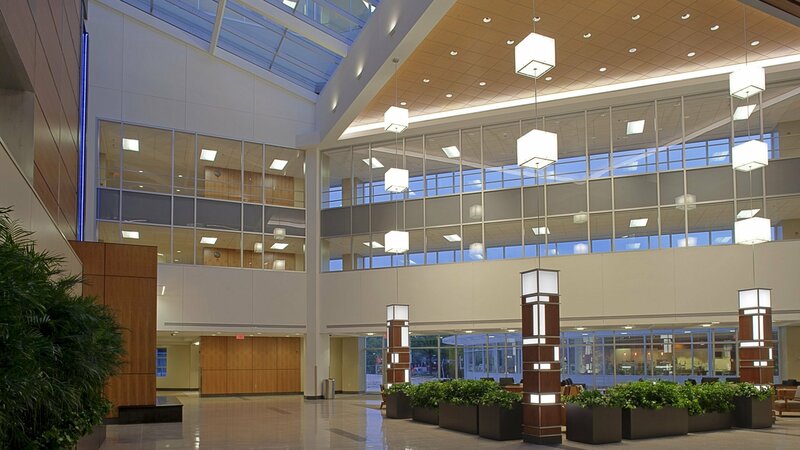 The Atrium is an 8,000 sf natural light-filled public space located adjacent to the hospital’s cafeteria. It features a 40-foot tall water wall as a focal point, providing a beautiful backdrop for the display of benefactors’ names, as well as soothing sounds of water that can be heard throughout the space. The Hess Garden is located outside the Atrium entrance across from the cafeteria.